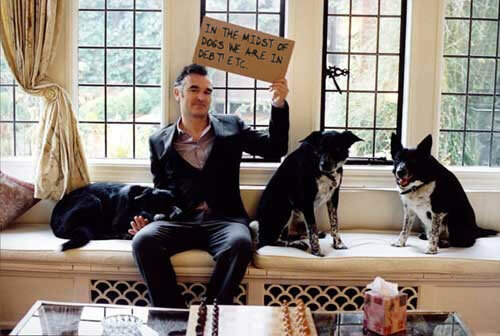 Morrissey sustained hand and arm injuries recently after being attacked by a dog in England. Morrissey has attended hospital in Malmo (Sweden) where x-rays reveal a fractured index finger on his right hand. The cracked bone is at the tip of the finger.